The objective of this programme is rising demand for clean energy and the dramatic continuous increase in fossil energy prices have made it mandatory to search for renewable energy solutions that are more efficient and environmental friendly. Power electronic converters are expected to play a major role in the conversion of renewable energy source s and interfacing them with the power grid or any stand alone loads. There is a tremendous growth in this field during the last decade. Sessions will be handled by the experienced faculties from reputed institutions and industry. 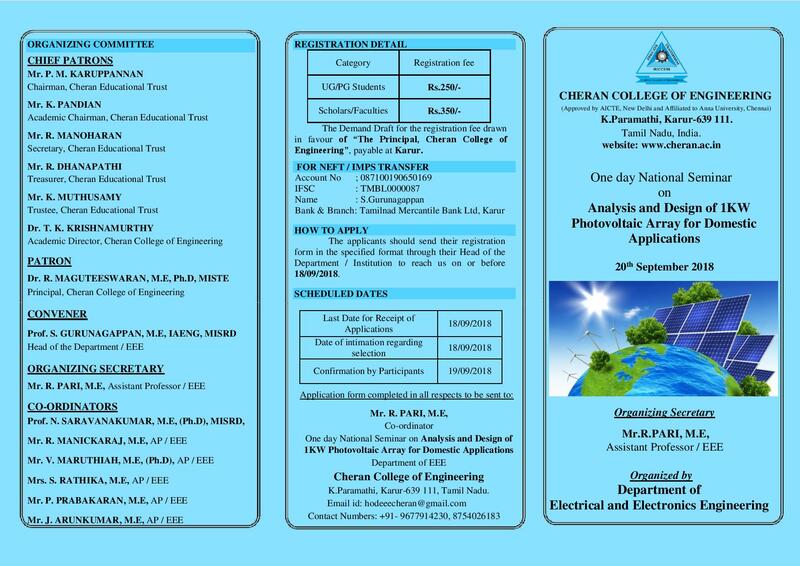 The College is situated at K.Paramathi on Karur-Coimbatore State Highway about 20 km s from Karur. For transport assistance to contact the co-ordinator.